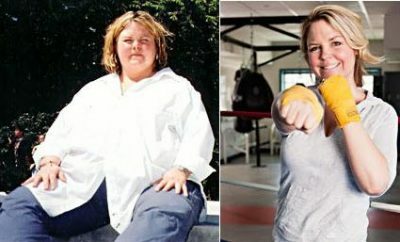 Weight Loss Success Stories: Molly Drops 102 Pounds By Taking Control Of Her Health! 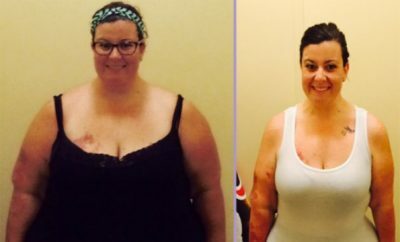 Molly2718 has lost 102lbs over the last year by ditching the fast foods, sweet drinks and adding exercise. She’s not at her goal weight yet, but well on her way! 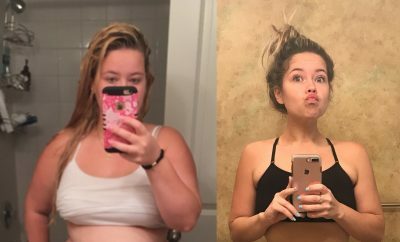 In her story she shares her tips, current struggles and accomplishments with her weight loss journey. 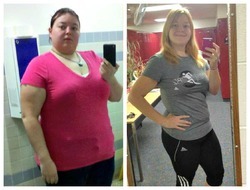 In February 2011, I was living out of my car, eating nothing but fast food, but I didn’t believe I gained any weight. In May 2011, I found a room to rent; I felt like I couldn’t control anything else in my life, so I decided to control my health. 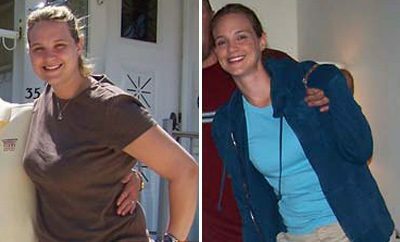 I never really tried to lose weight. I was an athlete all the way through school, including freshman year in college. I maintained my weight of 305lbs; my first semester at college I got up to 318lbs (I don’t know how accurate that is because it was a different scale, etc). I have not reached my goal yet, but I will! My roommates at the time didn’t drink pop or eat any sweets, so that helped. Basically, I just started riding a bike around my city. I went from pop, to caffeine free, to juice, to flavored water, to water. If I can’t taste something in my meal: cheese, mayo, etc, I do not eat it. Calorie Count allowed me to see if something was worth it. It’s like looking at my bank account. It’s so easy to look up nutritional values when I’m eating out to help make better decisions. I’m currently on a plateau, and this is by far the most difficult thing I’ve had to deal with. I took a maintenance break for 3 months to let my body adjust once I hit 100lbs down. I think I noticed around 30-40lbs down. Sometimes when I see my reflection in a window/mirror I have to stare in disbelief. I weigh myself daily. Once I reach my goal I plan to weigh myself weekly. If I notice an increase in my weight I’ll buckle down and exercise more. I’m more confident, active, outgoing and I love to shop!! I’ve also motivated my dad to get his health in order and he’s down 13lbs. That’s honestly my greatest accomplishment! I’ve not reached my goal yet, but I haven’t gained anything. Always ask yourself if it’s worth it. Have your goals always visible (goal weight on hand, skinny jeans, skinny pictures, etc). Reward yourself with new workout clothes instead of food! Take a lot of pictures and look at them regularly. Do not exclude a food group; do not fight cravings!